Scott started his birthday weekend doing one of his favorite things, mowing the yard. I kid you not, he gets such satisfaction from seeing a freshly mowed yard. I don't understand that, but certainly appreciate his efforts. 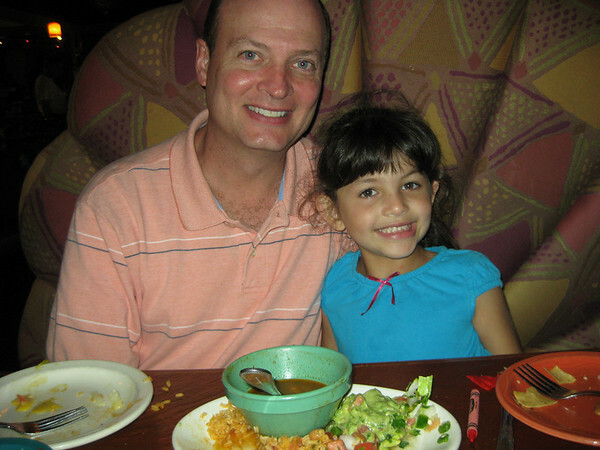 We soon scurried out to our favorite Tex-Mex place for fajitas. It's a birthday tradition. Or just a weekly tradition. 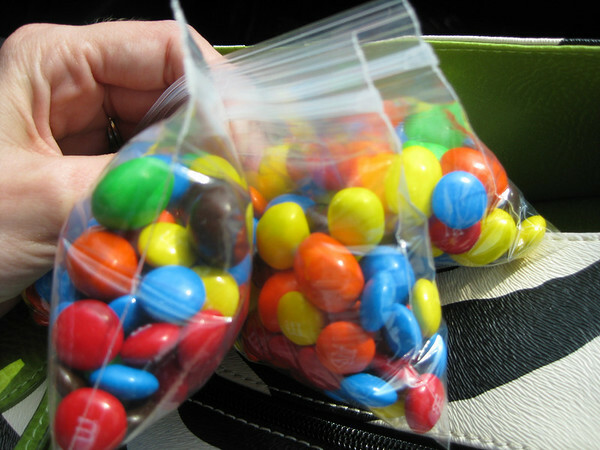 Then we prepared snack bags of M&Ms to sneak in my purse to take to the movies. We went to see Night at the Museum:Smithsonian Adventure. We all gave it two thumbs up and really enjoyed it. 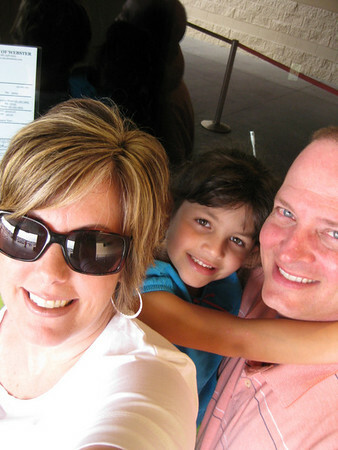 We tried to take a self-portrait as we were leaving beside the movie posters outside, but they never replaced them after the hurricane so we just took one in front of the ticket window. Not that you can really tell that's the ticket window or anything. Oh well. 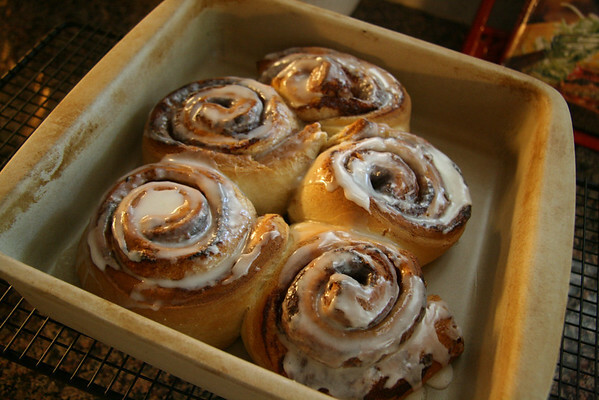 Sunday morning, Scott's actual birthday, started with freshly baked but not homemade at all, cinnamon rolls. After church we ate lunch at Cheddar's then popped in to Academy to buy Scott's birthday present. 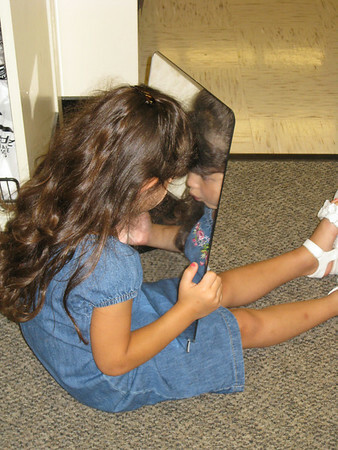 While we were there I noticed Annelise's mirror fascination, this cracked me up and kept her quite busy while Scott tried on different shoes. 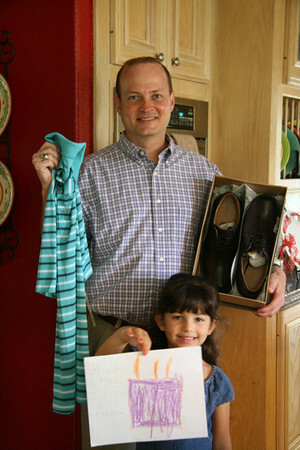 Here he is posing with his new Dri-Fit shirt for golf, a new pair of nice yet still casual shoes and a card from Annelise. We hope your birthday was wonderful!! Fun, fun. Happy birthday to your hubby! Cute Texas fam! 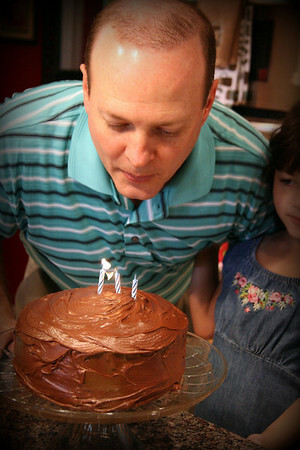 Happy Birthday to the hubster. This looks and sounds like a great way to celebrate a birthday! Didn't Hank Azaria make Night At The Museum 2? Everything he said made me laugh.